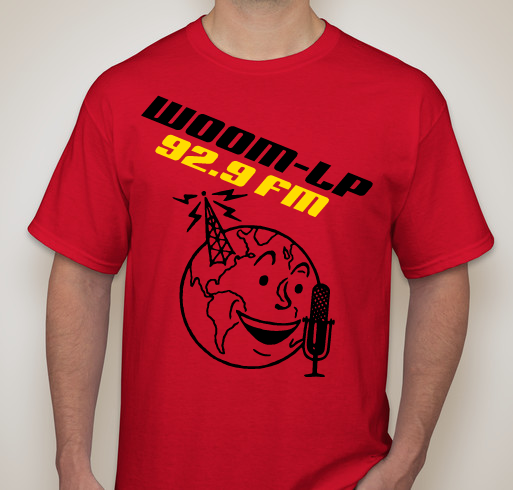 Buy a shirt, display your good taste, keep us on the air! 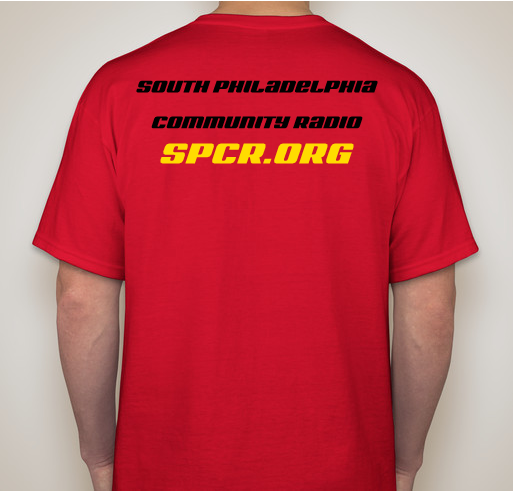 All funds raised will be paid directly to South Philadelphia Community Radio for Our budget is completely supported by listeners and underwriters. 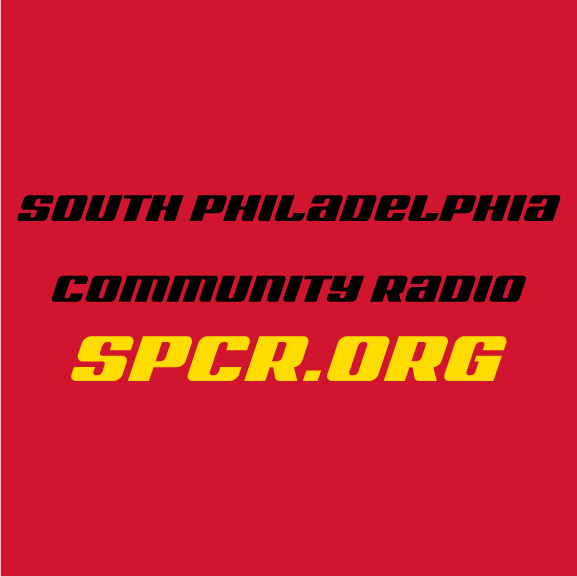 We have basic expenses including music licensing fees, web hosting, printing and computing equipment..
South Philadelphia Community Radio is a multi-lingual, independent, non-profit Low Power FM (LPFM) station serving the diverse communities of South Philly, Philadelphia in general and beyond with a unique mix of entertaining cultural and educational programming. We don't get government money, we don't get NPR money. 100% of our budget is via underwriting and private fundraising efforts from listeners such as this. SPCR is an incorporated Pennsylvania non-profit and registered charity. We don't pay our DJs, we operate out of a church cubicle. 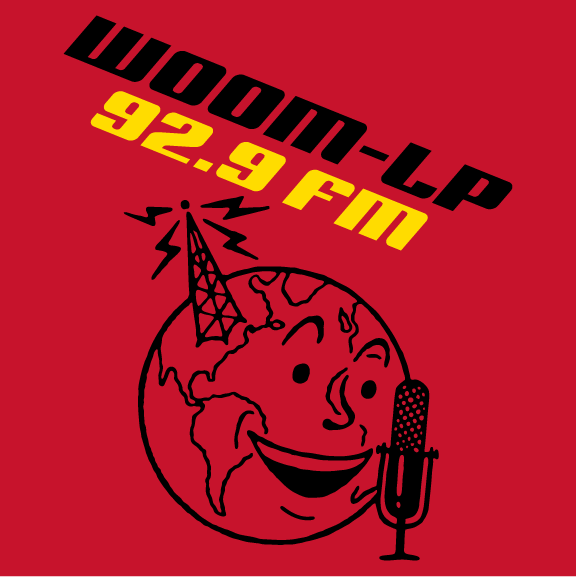 You can pay to wear a corporate logo like a buffoon or you can wear this darn cool shirt and support independent public media. Your call... we'll just be over here in the corner where the cool kids hang out, judging you. Community radio is vital independent media. Chris friends. Yay! Big Mouf like rocks dipped in slime. A reservoir full of spinach dip. 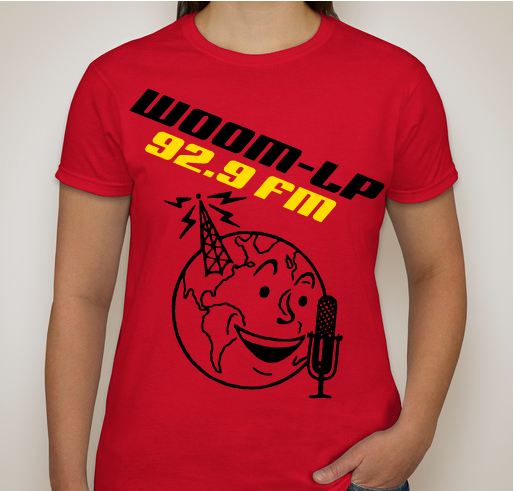 Because I run a LPFM myself (WXDR-LP) and I'm a suckere for radio T-shirts! 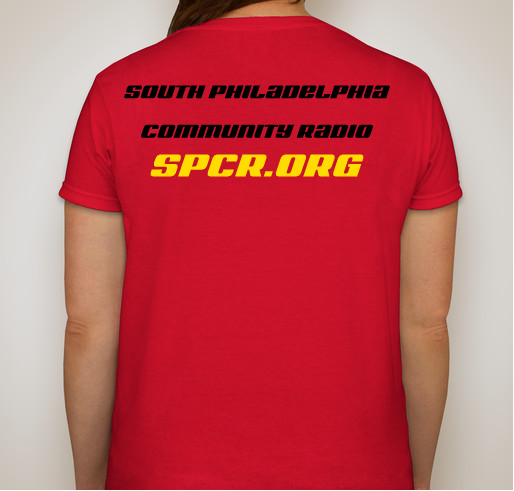 Share Why You Support "South Philadelphia Community Radio T-Shirt Fundraiser"